Please consider joining your neighbors at the Spring Washington Park East Neighborhood Association (WPENA) Happy Hour. 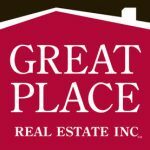 The quarterly event will be held this Thursday (April 6) at Washington Park Grille, in the lounge, from 5 – 7 PM, and is sponsored by Barb Perruccio, owner of Great Place Real Estate Co.
Snacks will be provided by Barb Perruccio and WPENA. Liquid refreshments can be purchased. Click here to see more details on this event on the WPENA calendar.